Adventures in bureaucracy: health insurance edition | Where's Zoe now? One of the… fun… things about living in Italy is the regular adventures in bureaucracy. This week, it was my health insurance. Or rather, my tessera sanitaria, the card you carry around to prove that you have health insurance. And apparently this wasn’t any sort of problem. But of course one of the classic features of Italian bureaucracy is that what works in one office, or with one administrator, won’t necessarily work anywhere else. Or even with the same person on a different day. So since my tessera sanitaria was due to expire on Thursday and I had a medical appointment booked on Monday, I figured I should do something about it, lest I have a run in with the clinic administrator who demanded a current TS. The other classic feature of bureaucracy is that it comes in great long chains. To get this document, you need these other documents, which you can only get if you present these documents at such and such an office which is only open Tuesdays 3-4pm, and so on and so on. Fortunately, there’s a short chain to renew the TS — you need your old one (check!) and a work contract. That was almost a sticking point. My work contract was also due to expire on Thursday. While there was never a question of it being renewed, it took some serious puppy-dog eyes and but-I-need-it-s from me in the admin office at work to get a paper copy of my new contract in time to go to the health insurance office. But in the end, I picked it up on Tuesday evening, which was even earlier than I’d hoped for. The next step was to sit down with the internet to try and work out where and at what time to go on Wednesday morning to get my TS. See, I’d moved house since I last had to do this, which changed which district I was living in and therefore which office I had to go to. In my old place, the health administration office was just around the corner, which was a good thing because you had to get there early. It was only open in the mornings, 8-12, and by 7:30 am people would be lining up in front of the machine that wouldn’t start distributing numbers until the official opening time. Meanwhile, even if you got there at 7:30 you’d spend a good hour or two waiting, sitting around in a fluorescent-lit room that had obviously been painted with a couple of leftover tins of that awful blue-green paint they use in hospitals. After some googling, I found an office in the right district, and only 15 minutes walk from my house. Still, my expecations were low when I set out at 7:15 on Wednesday morning. And when I got to the office, I had trouble working out where the administrative part was. The whole complex seemed to be a clinic. I went to the info desk. It was a clinic. 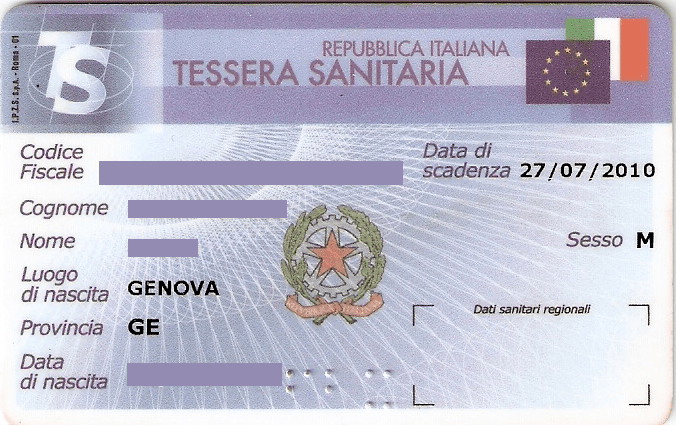 “If you want to renew your tessera sanitaria, you’ll have to go to the office on Lungo Dora Savona,” said the lady at the desk. This was not what I wanted to hear. That office was another 20 minutes away. By the time I got there the queue would probably include half the population of Turin. I had visions of spending all day sitting in an awful hospital-green admin office, just to get one stupid card. But the new office wasn’t too far from my house, so I figured I’d give it a shot. I could always give up and go home if it was too terrible. Things didn’t start too well, as I misread the signs and walked into the building next door, which, once again, was a clinic. I don’t seem to have the knack for spotting admin offices! The guy at the info desk there seemed like he was used to telling people to go next door, though. And so that is my story of the one time Italian bureaucracy (more or less!) worked well for me. This entry was posted in Italy, Living in Turin and tagged bureaucracy, expat, health care, life, living abroad on May 3, 2015 by Where's Zoe Now?. Ah bureaucracy. So NOT my favourite thing! I was pleasantly surprised when I went to register in Switzerland – only one person in front of me! I got there at 9:45 and was home by 10 past 10.